Disclosure: I received a nap mat for review from Janiebee. All opinions are my own. Naptime. It's essential for growing tots. As a mother I know the point where my kids need to take a break to rest even though they voice they do not want to. It's even more difficult when traveling on vacation, at school and/or even just to grandma's house. 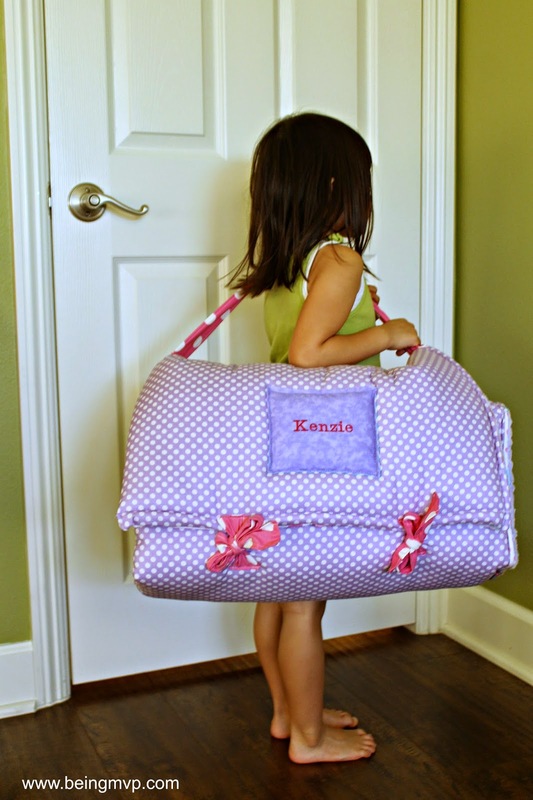 Janiebee offers beautiful nap mats to make sweet dreams come alive. Since Ms. Kenzie believes herself a princess on most days (when she is not a power ranger), the Castle Princess nap mat was the perfect selection. The dreamy, girly colors of aqua, hot pink and lavender are complimented by the castle print fabric. Even Mason was drawn to the beautiful mat and wanted to nap right next to Kenzie. The Janiebee quilted nap mats are plush with 2 inches of thick soft batting and accompanied by a minky pillowcase and attached blanket. I love that it is machine washable because when we come back from a trip, I can just toss the entire mat into the washer to clean. It easily rolls up and ties for compact storage and travel. To make it extra special for gift giving, you can opt to have a personalized name plate or appliqued blanket! 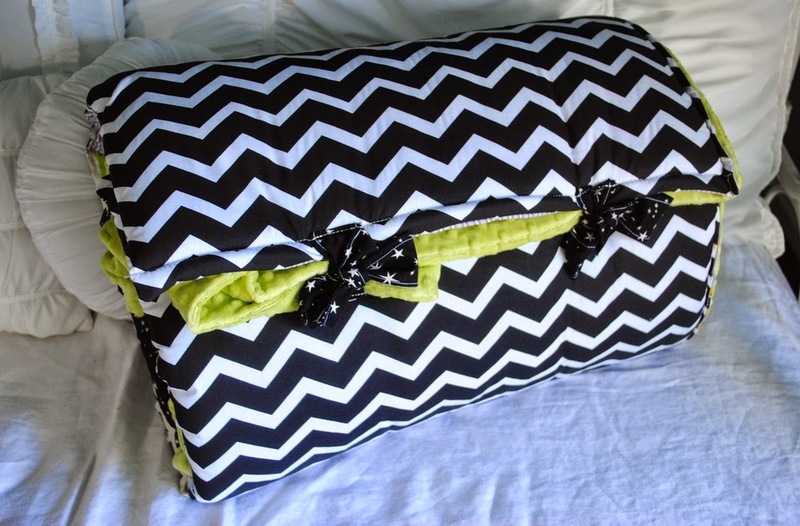 In addition to a variety of awesome nap mats, Janiebee also offers pet beds, quilts (love! ), pillows and more. You will definitely find a unique gift here! One winner will Receive a Janiebee Nap Mat! If I won I would love to have the Ricky Racoon for my little nephew! My favorite is Caravan...for my friend's daughter. I'd like the Boys life one for my son at his preschool! I like the castle princess for my daughter! My favorite It's A Zoo for my granddaughter. I'd like the Speedster mat for my son! I would choose Forest for my niece. I would get the Sweet Dreams nap mat for my daughter. The Cosmos Gold or the Ricky Raccoon would be perfect for my son that is getting ready to have his first sleep over soon! 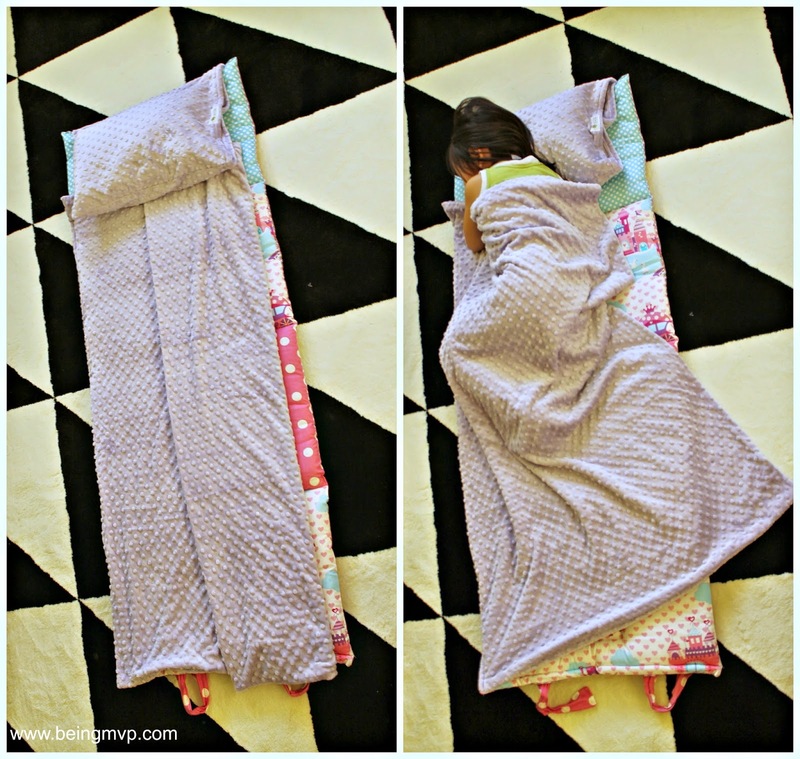 The Castle Princess Quilted nap map for my daughter! I would choose the Castle Princess mat for my daughter! it would be for my cousins son! I'd get the TOAD'LY COOL II. I would pick down on the farm for my nephew! I love the Baby Mine mat... so pretty. I'd really like to have it for a birthday present for my daughter! I like the Penguin Parade mat for my daughter. She would love it. I like the Fun & games mat for my grandson. I like All Minky All Luxury. Cosmos Gold for my son. The All Minky All Luxury is sooo nice. I'd love this for my son and daughter! I would choose the castle princess mat for my niece. I would choose Boys Life for my son. I would chose It's A Zoo for my granddaughter. I would choose the Smooth Zoo for my son. wow, these are really expensive!!! Seems overpriced. I love the Smooth ZOO All Minky All Luxury! I love all the patterns and colors. I would select the Baby Mine mat for my granddaughter, Nellie. I'd pick the castle princess one for my little girl. She likes princesses, so would really like this! Oh I would love the Shark Nap Mat for my grandson! They moved back home with me a couple years ago, and so many nights he wakes up and crawls in his mom and dads room on the floor. I would love to put this down for him to crawl into! I love the Forest one. It is very cute! I would choose Smooth Zoo for my daughter. I would have to flip a coin and either get Caravan for my son or Princess Sweet Pea for my daughter. I like the princess sweet pea for my neice. I like the princess castle and the smooth dots design for my granddaughter. I'd choose the Its A Zoo mat for my niece. Thanks. I would love to have the Smooth BABY All Minky All Luxury. It is blue chevron which I love. I would give to my grandkid. I like the Caravan! It would be for my daughter. Hollywood Glitter would be perfect for my daughter. I would love the Smooth Dot All Minky All Luxury for my daughter! I would pick the Aviator mat for my son. He loves planes and camo. I love the Smooth ZOO All Minky All Luxury one. Elizabeth Miller I would love the Smooth Dot All Minky All Luxury. I is so adorable and comfy lookingfor my little granddaughter Hayden. I would love the Smooth Dot or Smooth Paisley for my new niece! 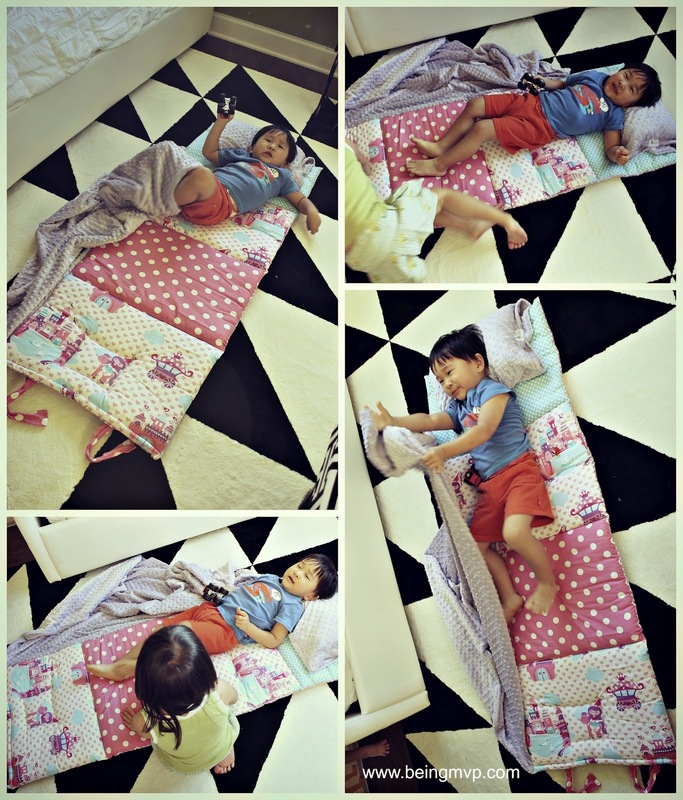 I like the Caravan mat for my grandchild. I love the castle princess mat for my daughter. I would select the Princess and the Pea Deux for my daughter. I would get Ricky Racoon for my son! I like the Smooth ZOO All Minky All Luxury for my nephew. I like the Smooth Paisley all minky mat.